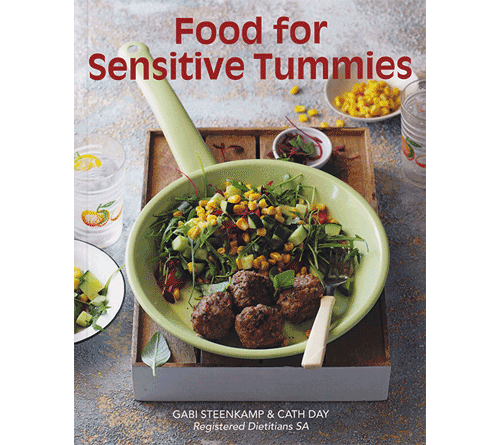 Gabi Steenkamp has been working as a registered dietitian in South Africa for the past 32 years specializing in the treatment of diabetes and colon dysfunction (Irritable Bowel Syndrome – IBS – or spastic colon). She is one of the experts on the topic of the Glycemic Index, Glycemic Load and carbohydrate contents of foods, and is also the voluntary consulting dietician for the Diabetes Association of South Africa, Diabetes SA. Gabi is known for her passion about nutrition and her ability to take complicated science and legislation and impart this information to the man in the street in simple understandable language. At present she is concentrating on food labels, in particular, compliance with South African food labeling laws and nutritional correctness issues. She has written 11 books together with colleagues on incorporating the Glycemic Index into daily living nutrition skills. Gabi Steenkamp is a dynamic and passionate advocate of good nutrition, and attendance at one of her talks or workshops will inspire you to easily put into practise good taste with good nutrition. “Nutritious and delicious” takes on a new meaning, when Gabi teaches you how. How Gabi can assist you. 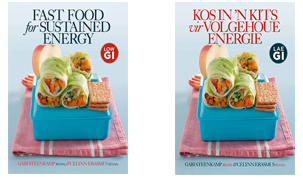 Together with colleagues, Gabi has put together a fantastic range of recipe books and information books incorporating the glycemic index into daily living nutrition skills. 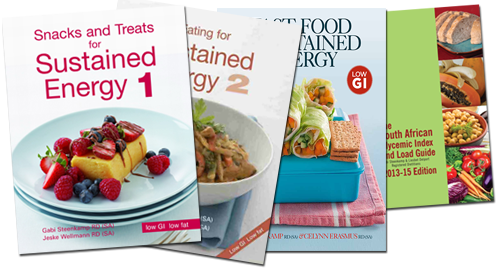 The Eating for Sustained Energy range of recipe books is perfect for anyone following the GI principles but also perfect for diabetics and those wishing to lose weight. Fast Food for Sustained Energy focuses on those busy people who battle to follow a defined diet and eat out a lot. Great recipes, information and resources to assist anyone. The South African Glycemic Index & Load Guide has the most commonly eaten foods in SA are listed in an easy-to-use, cross-referenced, colour-coded, alphabetical list. Eat Smart and Stay Slim – The GI Diet is a weight management book to complement the recipe books. Based on lower GI, lower fat principles, this book makes weight management a breeze. Listen to one of Gabi Steenkamp’s presentations and be inspired. Nutrition coaching, as part of an integrated wellness strategy for employees, is fun, informative, empowering and practical in the hands of Gabi Steenkamp. 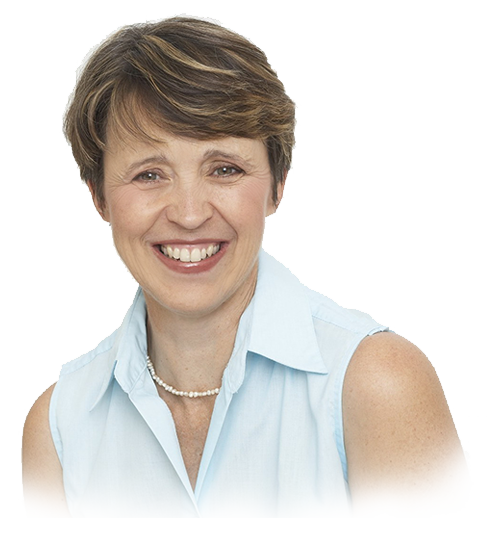 Gabi Steenkamp is a popular speaker and author and best known for her enthusiastic yet easy-to-understand way of explaining how easy it is to ensure daily good nutrition. She holds an Honours degree in Dietetics and with the practical wisdom of 30 years is able to effectively communicate good food.